Happy Monday! (I honestly never thought I’d say those words… ever!) They always say you should start your day off with breakfast since it’s the most important meal of the day and all that other stuff. But, what do you do if you (gasp!) don’t like breakfast? You look for a better, more exciting breakfast food! 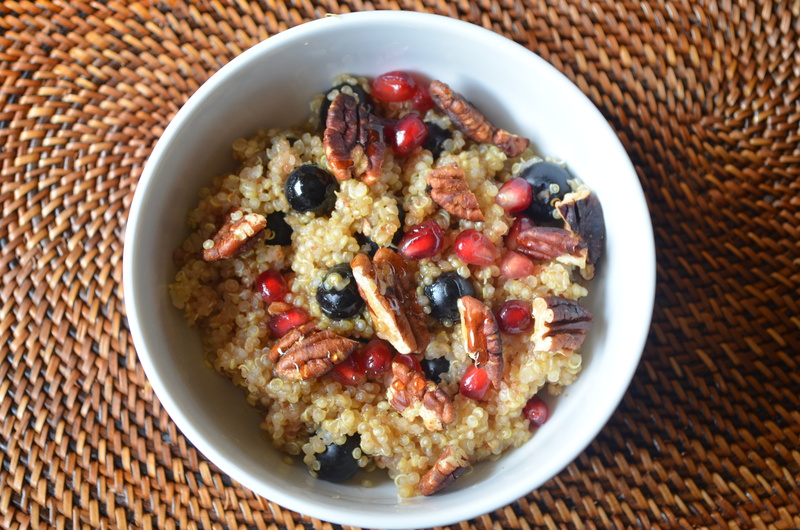 Take this quinoa cereal, for example—it uses one of my favorite grains! Back when I was originally trying to go weekday vegetarian in the winter, I began frantically searching for vegetarian/vegan recipes that could sustain me from Monday through Friday (and possibly even on the weekends). 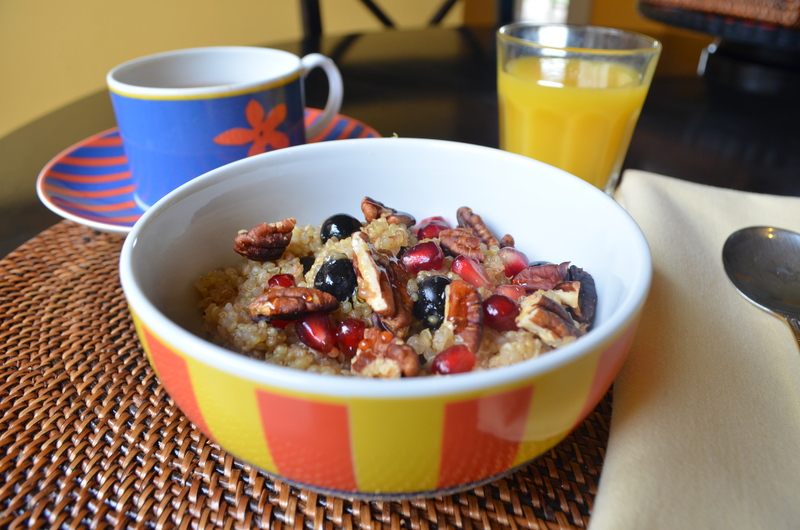 I ended up finding an incredibly interesting concept—quinoa cereal! 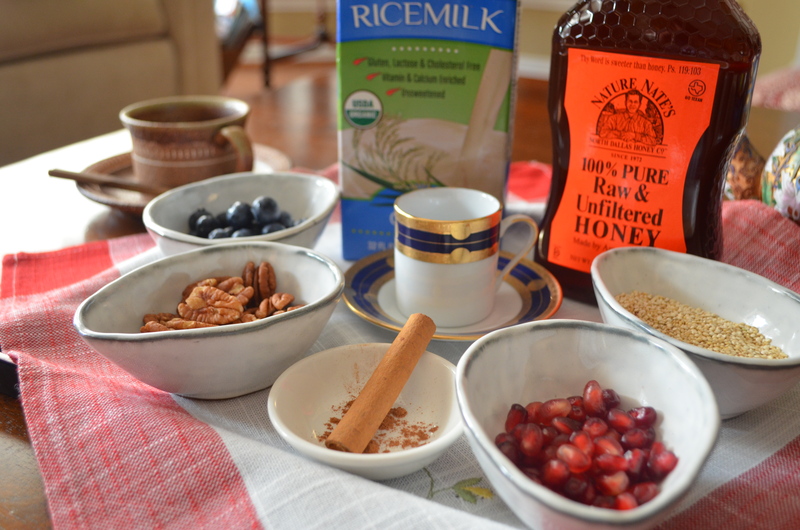 It was originally a vegetarian recipe being reposted on a vegan challenge (advising to just substitute cow’s milk for soy milk). At the time, I really wanted to try quinoa. (Turns out, of course, that I’ve had it many times before, but I never knew.) I ran to my mom, demanding that we try this recipe… especially since my mom and I both hate breakfast (wonder what I got that from…?). The only difference was that we used raspberries way back in December instead of blueberries now. That ended up being my first food picture using the camera I still use today. I still look back at it and feel proud, despite some of its flaws. My photography has definitely improved since then (no more reliance on auto “food” mode!) and I know how to better set up food pictures. This quinoa cereal is completely vegan, but if you’re not a fan of rice milk (or the alternate organic soy milk), you can use organic 1% milk. Personally, I’m still scarred from some of the vegan documentaries I watched (like Vegucated, which is amazing by the way) to NOT use a milk alternative, especially when there’s no real difference in taste. (That, and milk sometimes makes my stomach hurt…) Personally, I think rice milk has the best taste with this recipe, but soy milk is good in here too. Also, you can switch out agave nectar for local honey. We didn’t have any agave nectar, so my mom’s local honey was all we had. (Local honey, especially in your tea, is a great alternative to sugar, plus it helps with seasonal allergies.) Of course, if you would prefer not to use honey, agave nectar is always a good alternative. 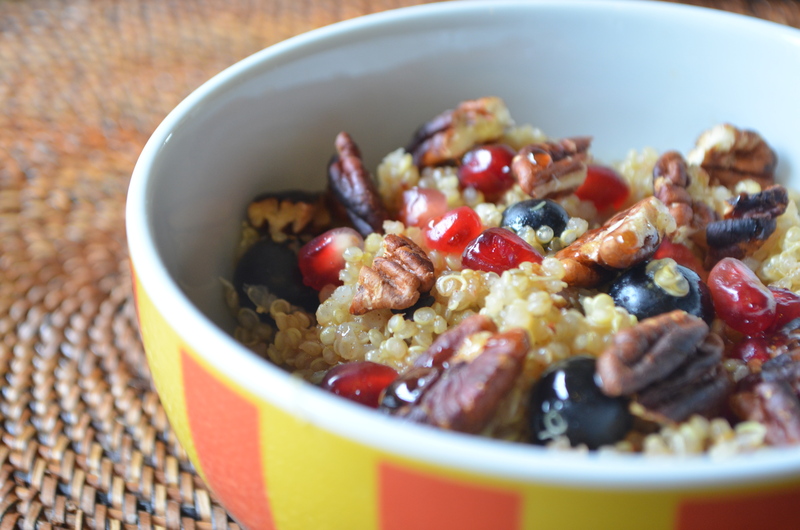 Adapted from 101 Cookbook’s Warm and Nutty Cinnamon Quinoa Recipe. 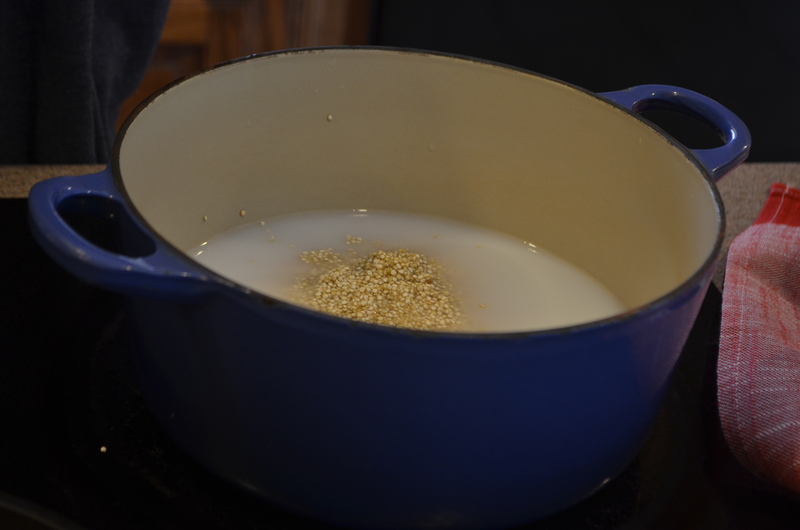 Combine milk, water, and rinsed quinoa in a saucepan. Reduce heat to medium-low, then cover and simmer for 15 minutes (or until most of the liquid is absorbed). Turn off the heat, cover, then let stand for 5 minutes. Stir in the blueberries and cinnamon. 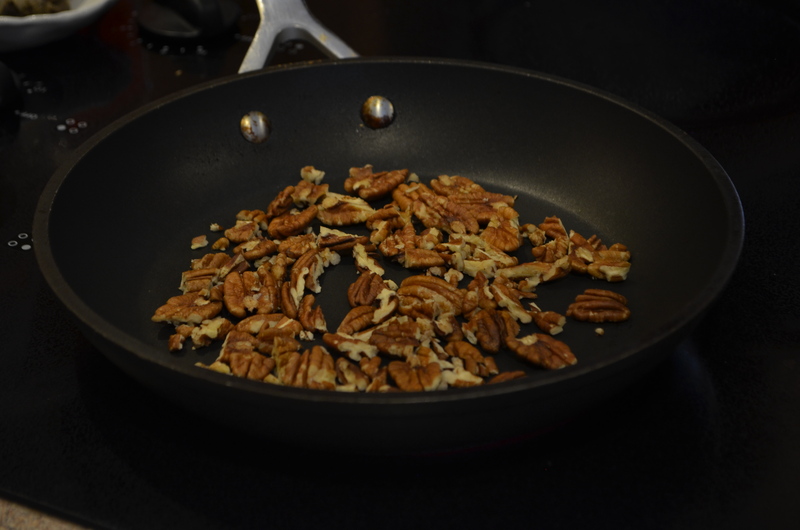 Transfer to individual bowls and sprinkle pecans and possibly pomegranate seeds. 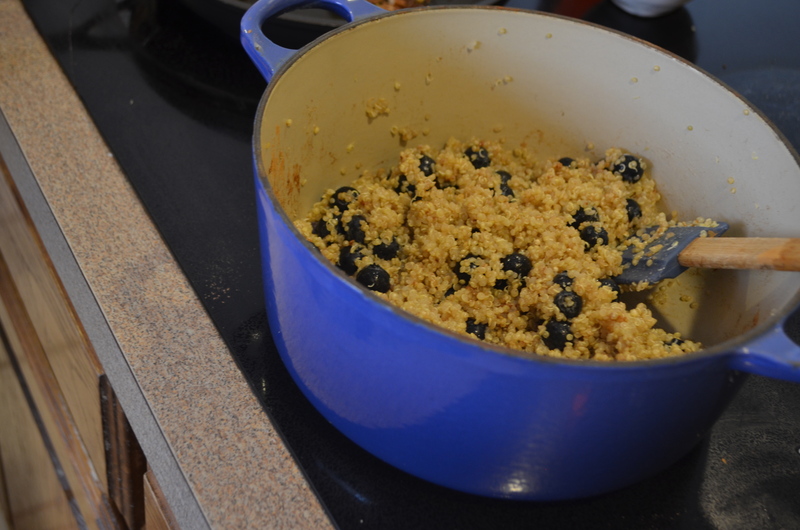 End with a drizzle of agave nectar/honey on each bowl to taste.